Studying baking in Paris, 1980. Not long after that exchange, before her last book was released in 2011, Paula conducted interviews with industry professionals who had received advance copies of her cookbook. During interviews, she struggled to remember the questions asked and had a difficult time responding appropriately. During a visit with her physician, Paula shared her concerns, but the cause of her symptoms was still undetermined. In 2013, after getting a second opinion, it was confirmed that Paula had an atypical variant of Alzheimer’s called Benson’s syndrome. Working on her first book in 1971. According to Bill, the recipe that Paula likes to make most is oxtail ragu, which is conveniently also Bill’s favorite dish. For the first time in a year, Paula cooked for guests – a French family that came to visit – this past holiday season. Her husband helped her plan the menu, which included a spin on his favorite: ragu of duck with prunes and onions, a French favorite from the southwestern region. Everyday meals aren’t cuisine of the ragu sort. Cooking is very different than it was before Paula’s diagnosis. She cooks three times per week, primarily vegetables that she can freeze and store for later use. She enjoys using Vital Choice wild Alaskan king and sockeye salmon as a protein and incorporates a variety of ingredients into her diet, including Brussels sprouts, olives, pomegranates, fennel, red pepper and coconut oil. Paula has simplified her cooking due to changes in her sense of taste and smell. Today she puts a focus on clean living and staying social with family and friends. She has lost 25 pounds due to frequent treadmill and yoga exercise. She drinks a smoothie every day chock full of greens and vitamins. She dines with a group of women her age who are still in the workforce (the “Lunch Bunch”) once a week. “I consider what I am doing to take care of myself to be working”, she says. About Paula: Paula is a member of the 2014 National Early-Stage Advisor Group. She is an advocate, wife, mother, and chef whose career spanned more than 40 years. For more than 20 years, she authored a column in Food & Wine magazine and was featured in numerous publications including Gourmet and Bon Appetite. She helped start a Memory Cafe to encourage social engagement with others living with the disease. She lives in Sonoma, California with her husband Bill. Congratulations on a life well led and for showing us how to live better, too. Inspiring! The most powerful line for me is, "I consider what am doing to take care of myself to be working." Thank you for this beautifully written share. Hi Paula, I do hope you enjoyed your time on ESAG as much as I did. Are are at this year's Forum? I'm not. The crowd's were too much for me. 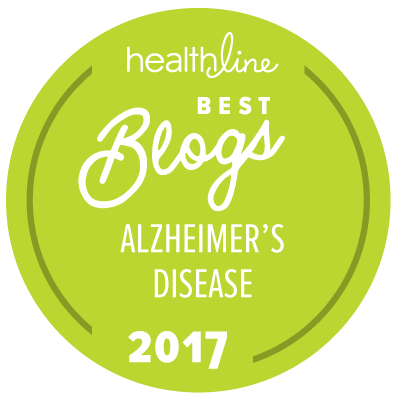 Do join us on the "I have Alzheimer's" Boards at alzconnected. This was a wonderful article! I love the passion you have Paula for food and how you shared that passion with your family. Your story was very inspiring and I might just have to try that stuffed pig's foot for the holidays! Wow! Interesting and powerful stuff. Thank you, Paula for your honesty and rhetoric.